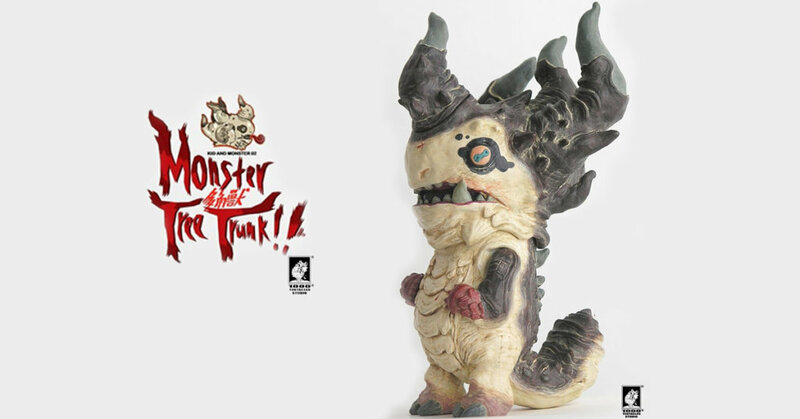 There’s been no doubt that 1000tentacles Studio work in progress shots of his new “Monster Tree Trunk” vinyl figure has been a pleasure to watch and follow the process of the making. The follow up from last years Screaming Monster is here and nearly ready for you all to pre-order. Our Artist Spotlight artist 1000Tentacles has revealed the finished prototype of Monster Tree Trunk! Don’t worry, Monster Tree Trunk has the interchangeable head and also the Kid will come with the package. Great to see 1000Tentacle’s art being transferred from resin to vinyl. Whos ready to SCREAM for the Monster Tree Trunk?! Packaging：transparent plastic bag with horizontal card clipped. To order simply email them at [email protected] at the time and date stated and quote The Toy Chronicle sent you. Check out our Artist Spotlight article and enter the world of 1000Tentacles.